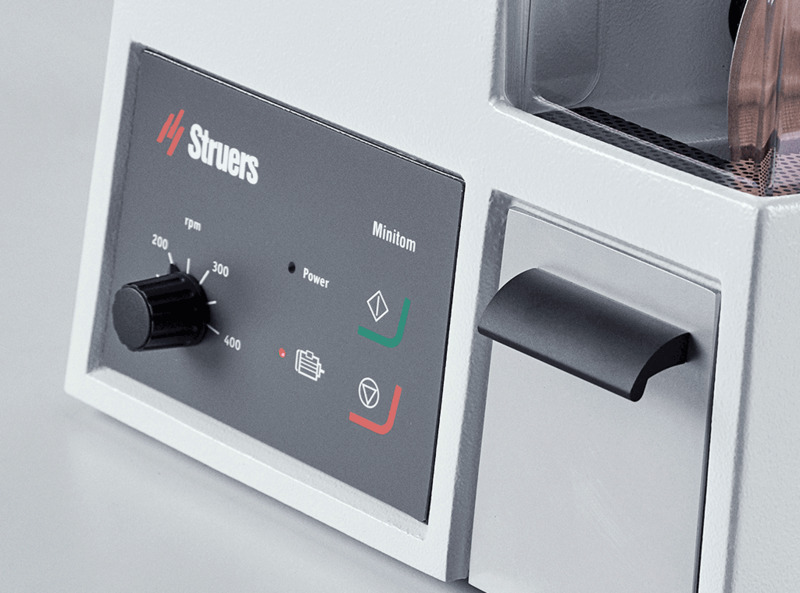 The ideal low-speed, precision cut-off machine for small laboratories, Minitom is very easy to operate. The cutting speed is continuously variable, and the motor is designed to ensure that the selected speed remains constant at any load. Maximum specimen size is 30 mm diameter. 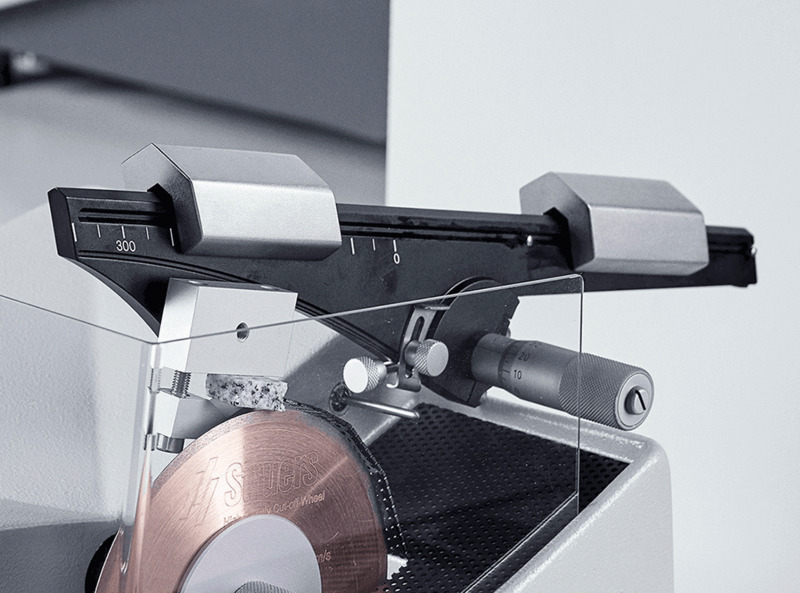 With a width of 280 mm and depth of 400 mm, Minitom is designed for tabletop use in the laboratory. 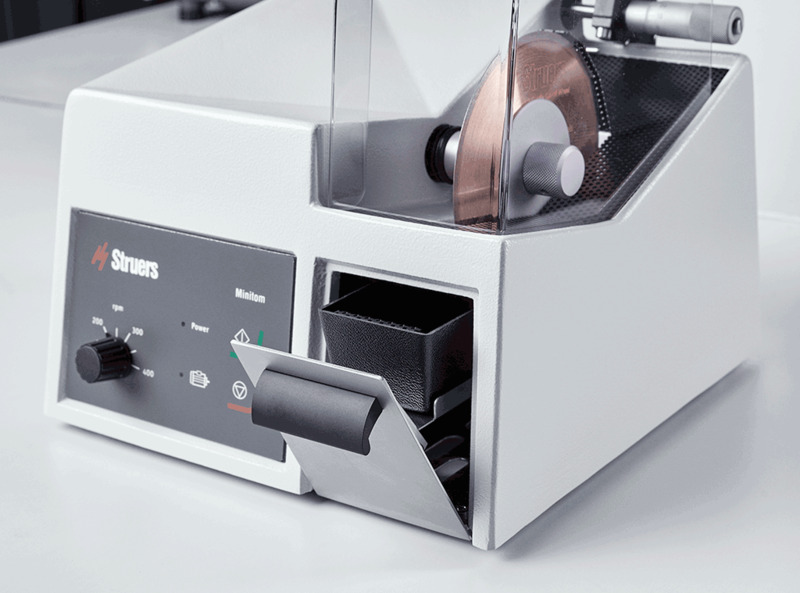 Minitom can be used to section all types of mineralogical and ceramic specimens. Cut-off wheels are available with different grain size and concentration to ensure the right choice of cut-off wheel for any type of material. A few minutes are required to fixate the specimen and set specimen size, cutting speed, and cutting pressure. The motor is designed to ensure that the selected speed remains constant at any load. This arm acts as a steelyard with two weights, one of which balances the specimen holder with specimen, the other being used to set the exact cutting pressure. On completion, the cut-off wheel stops, and the specimen falls into a basket in the coolant tank, thus protecting the specimen from drying and making retrieval easy. 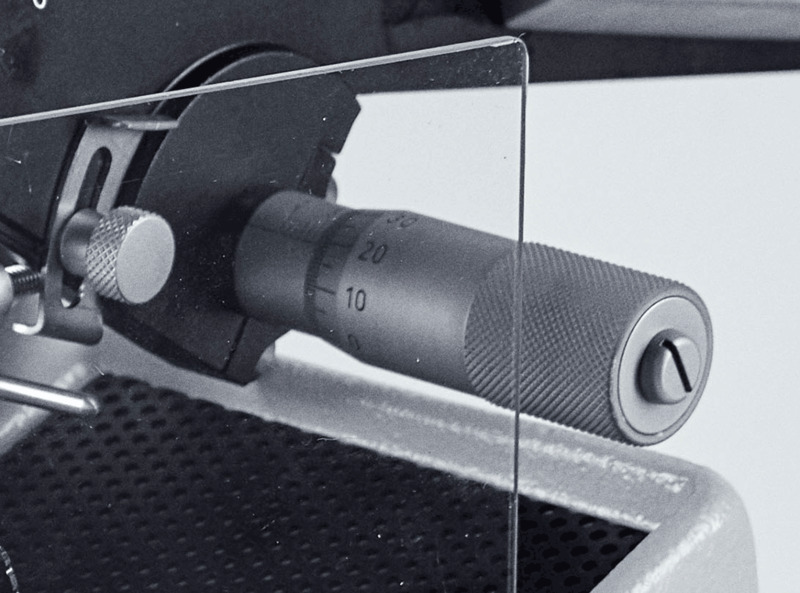 The required specimen size can be set with an accuracy of +/- 0.01 mm using a micrometer screw. An overload indicator provides a visual warning either to stop the cutting procedure or to reduce cutting pressure. If the alert is not heeded, a thermal overload protection function kicks in. Minitom can be adjusted to stop cutting at any stage of the operation, e.g. when the material has just been sliced through. The coolant tank is very easy to remove, making retrieval of the finished specimens and cleaning of the coolant tank simple and straightforward. 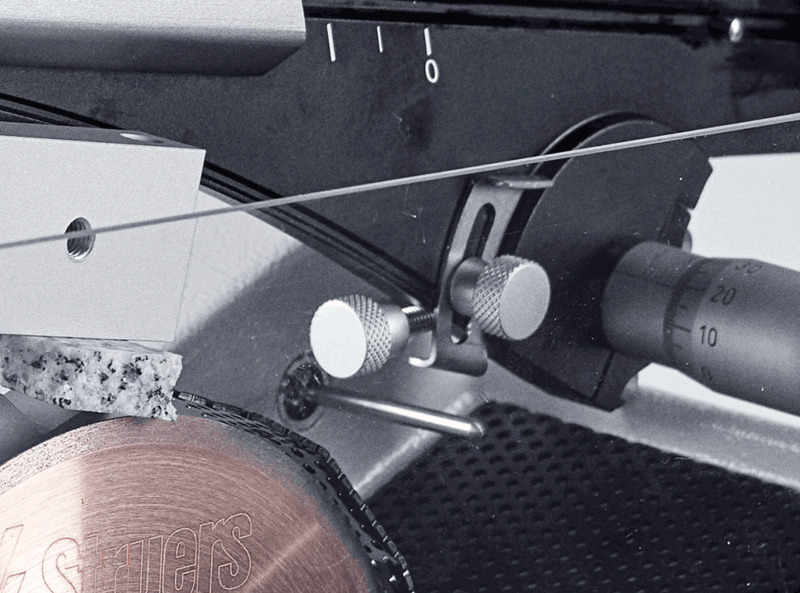 Low-speed precision cut-off machine. Complete with universal specimen holder and flange set 65 mm dia., as well as 42 mm dia. Cut-off wheels are ordered separately. 100-240 V / 50-60 Hz.